Wildlife Images from Around the World. 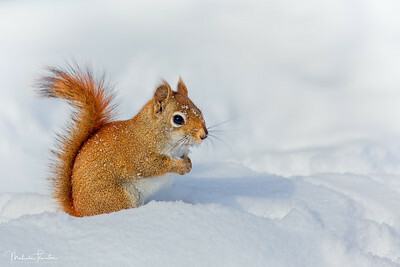 Captured this little American Red Squirrel searching for seeds in the snow near Mew Lake in Algonquin Park (Ontario, Canada). 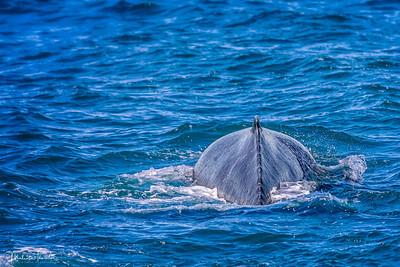 Captured this rear angle view of the dorsal fin and caudal of this beautiful Humpback Whale just about to dive in Skjálfandi Bay (Arctic Ocean), off the North Coast of Iceland. 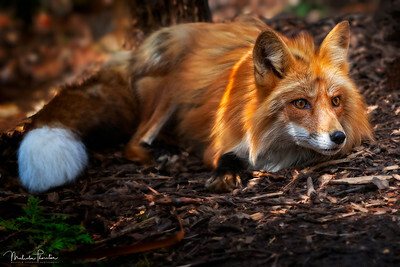 Captured this beautiful Red Fox lying down in a forested area in Durham Region, Ontario. His gaze was fixed on a small red squirrel at the base of a nearby tree. 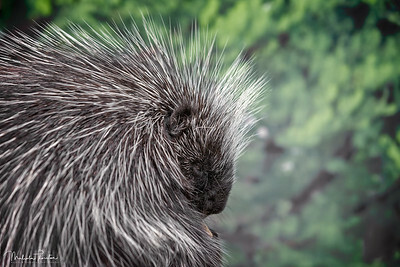 Captured this North American Porcupine showing off his sharp quills while sitting up and eating a little afternoon snack in the shade of his forested home. I was really surprised at how sloth-like slow moving this animal. 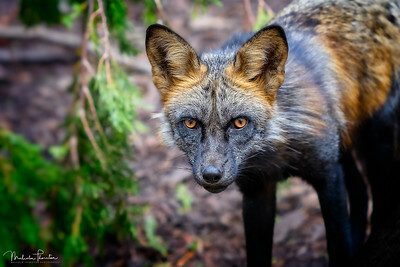 Commonly referred to as the Silver Fox, this historically most valued furbearer, is actually a Red Fox with dark-colored pigment melanin in its skin. 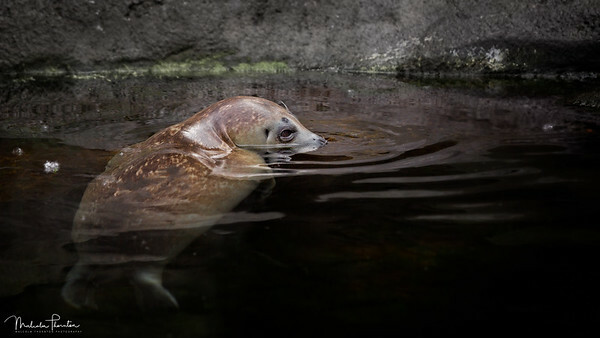 A common Harbour Seal swimming around the coastline of Seward Alaksa's Resurrection Bay. 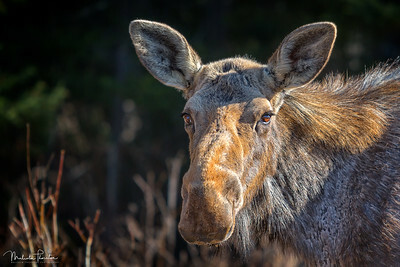 Photographed this yearling moose near the roadside of some marshy wetlands, on an early spring morning in Algonquin Park, Canada. Moose with their salt deficient winter diets, come to the roadside to lick up the leftover winter road salt. This Moose just finished having a drink of the salty roadside water. 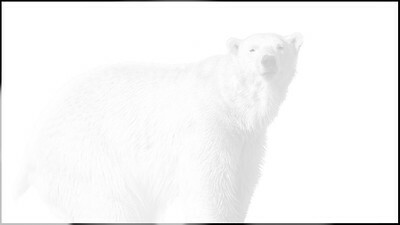 The Polar Bear is a powerful symbol of strength and endurance, and one of my most favorite animals. 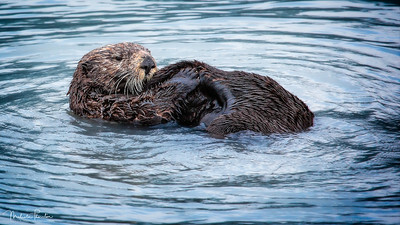 However, these beautiful creatures are being significantly threatened by warming arctic temperatures and melting sea ice. We in Canada, are fortunate we can still photography these amazing bears in the wild. 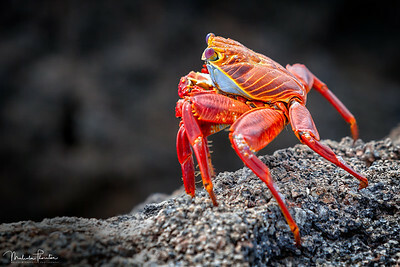 Laying on my stomach on the sharp Lava Rocks of Genovesa Island, Galapagos, I captured this side profile image of a fearless Sally Lightfoot Crab. 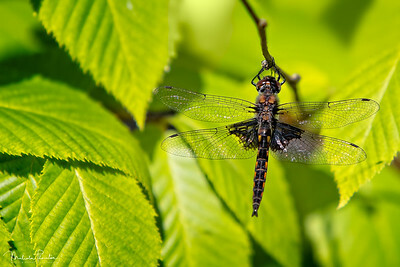 Captured this Dragonfly, with his outstretched wings, perched on a small branch of a Yellow Birch Tree, at my cottage in the Algonquin Highlands of Ontario. 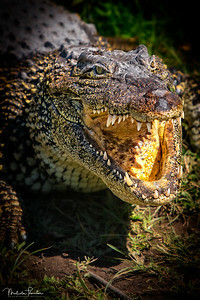 Captured this fearsome American Alligator laying near the wetlands of the Tamiami Trail in the Florida Everglades. 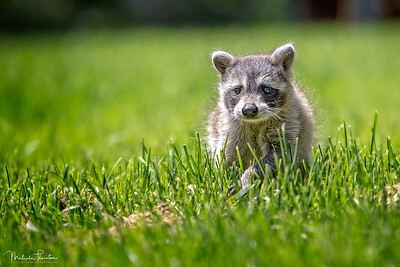 Meet Ringo, an orphaned baby raccoon that we are raising until he is old enough to eat on his own and can be united with others of his kind at a Wildlife Rescue and Rehabilitation Centre. Wildlife Centre's in Ontario are over capacity and don't have the manpower or resources to keep up, so we are doing our part to help out. Image taken at my home in Port Perry. 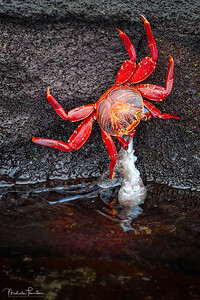 A brightly colored Sally Lightfoot Crab dragging a captured Squid ashore, up a rock face, from the Pacific Coast. Image taken on Fenandina Island, Galapagos. 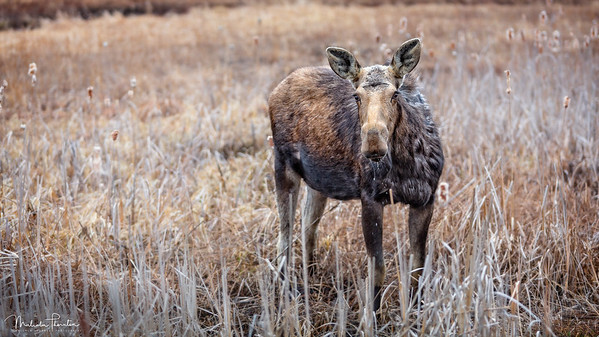 Spent about a half hour photographing this beautiful Eastern Moose as she grazed in some marshlands. Image taken in Algonquin Park, Canada. Heading into Resurrection Bay from Seward, Alaska, I came across this Northern Sea Otter floating aorund enjoying the morning sun.